I hope you enjoy a tour of our Southern home! I really don’t know if you can put a name to my style??? 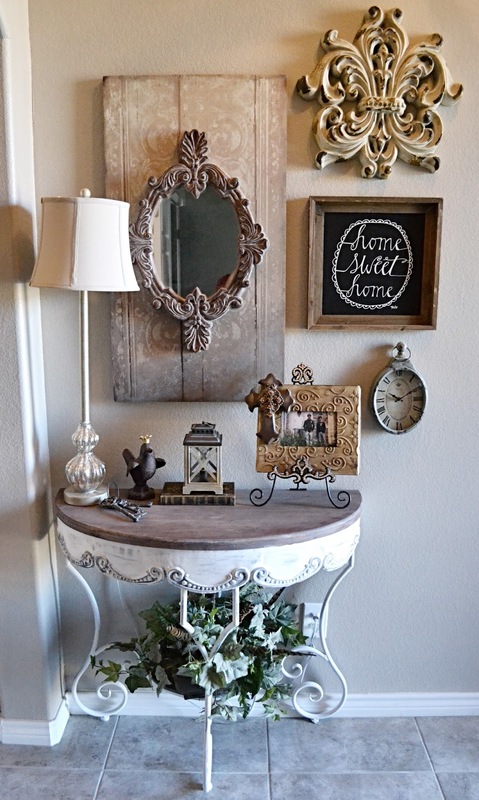 I like shabby chic, french country, cozy cottage, vintage and farmhouse style. Welcome to our home! Hope you enjoy the tour! Thanks for stopping by! Don’t forget to follow my blog so you can follow my journey! What a beautiful home!!! Love those scrolls hanging in the entry way! Hey Stacy! Thank you! Walls and ceilings are all the same color. It's called Sophistication by Kelly Moore. The kitchen granite is called Dallas White. Thanks for stopping by the blog!